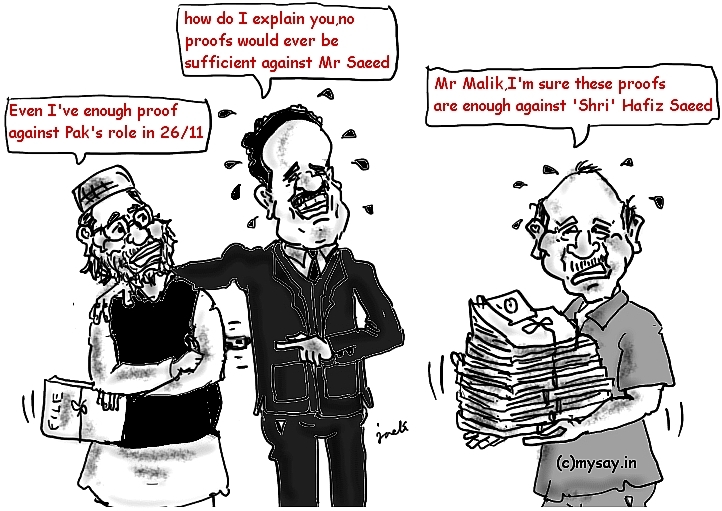 All he brought was list of controversies , Pakistan’s Home Minister, Rehman Malik,where he compared 26/11 terror attacks to Babari Mosque demolition,stated that Abu Jindal was an Indian Agent and to top it denied enough proof from Indian government to hold ,26/11 mastermind Hafiz Saeed ,guilty! To add on,he has left Indian Home Minister, Sushil Kumar Shinde,humiliated with opposition asking why Shinde did not answer back when Malik was comparing 26/11 and Babari Mosque demolition and the media highlighting Shinde referring,Hafiz Saeed as ‘Shri’ and ‘Mr’ in the parliament. The question remains , what was the need of inviting Rehman Malik who has been popular for controversial statements and has delayed action against Pakistanis involved in 26/11 terror attacks and all the more when Pakistan is expecting a change of governance? Ajmal Kasab , the lone surviving terrorist in the 26/11 terror attack in Mumbai,India,met his fate on 21 Nov’12.After his Mercy Plea got rejected by the President Of India,Kasab date of execution was decided and the operation of executing him was kept in secrecy to avoid any opposition. While,many have welcomed the rejection of Kasab’s Mercy Plea by President Pranab Mukherjee and claiming the execution as India’s strict answer to terrorism , one should also keep in mind , Ajmal Kasab and his fellow-mates who entered Mumbai and killed hundreds of innocent Indians,were just ‘pawns’ while the ‘queen’ , the real-mastermind-Hafiz Saeed,is still enjoying freedom and life as Pakistan still denies his involvement in 26/11 and Saeed might be busy developing more Kasab’s ! Abu Jundal and Ajmal Kasab may come face-to-face ! Mumbai crime branch is putting together its papers to approach the Special Court in Mumbai to allow them to bring Kasab and Jundal face to face to speak up facts related to the 26/11 terror attack ! Just an imagination , how would these guys meet after 4 years (they must have last met when Abu Jundal must be training them on Hindi, in Pakistan(as confessed by Kasab)!